Raise the speed awareness of oncoming drivers with radar speed signs. Radar speed signs are traffic calming tools that alert motorists of their speed that can be used by cities and towns, neighborhoods, school zones, work zones, parks, daycare areas, churches, or anywhere traffic tends to exceed a safe rate of speed. 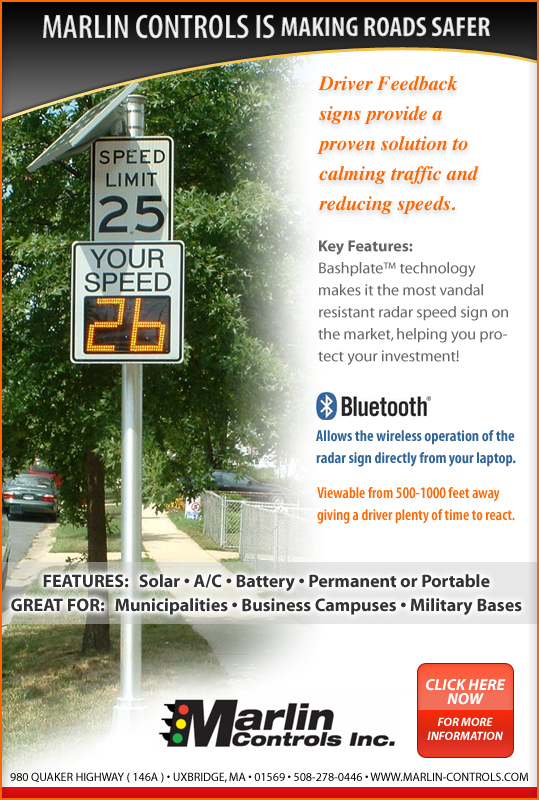 Our radar speed signs (also called radar signs, driver feedback signs, speed display signs, radar speed displays, and “Your Speed” signs) are attractive, easy to operate, constructed with a rugged design for long life, and were designed with safety features that allow easy operation while effectively slowing traffic down and making roads safer… and at an affordable price. ​Click here to download & activate your Streetsmart Data Collection Software. ​Click here to view model TC-400 Portable Unit Datasheet. ​Click here to view Model TC-500 Radarsign Datasheet. ​Click here to view Model TC-1000 Radarsign Datasheet. ​Click here to view Mobile Control Stand Datasheet. ​Click here to view Model TC-600 Datasheet.